Glenn Williams, a life long resident of Roslindale is a musician and artist who has dedicated his life to being involved in the arts and promoting the arts. His career began in the 1970s as a member of the Arch Diocesan Youth Symphony as a classical bass player. He was the Summerthing Coordinator in the 1970s  a City of Boston program that brought visual arts, crafts, music and performances to local neighborhoods. One of the highlights of the program was a performance by the Boston Symphony Orchestra in Fallon Field, Roslindale. Glenn is a prolific songwriter and singer who plays bass guitar, guitar and keyboards. He is currently a performing musician. His group Random Access Memory, an all-original pop rock band, was featured in the 2000 NEMO Music Showcase and Conference for their CD "Misfits". Other bands include: Blown Glass, Ma, Pa, Joe & Friends, Feedback. Boys with Toys, Casey Williams and Urban Caravan. Glenn and his partner Tim Casey are co-founders of LowBudgetProductions  A complete music and multi-media production facility. They have a web site at http//www.lowbudgetrecords.com. 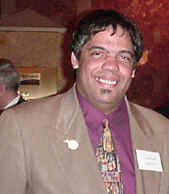 Glenn is a community activist and is the current President of the board of BNN TV, current President of the Roslindale Arts Alliance, past president and current board member of Roslindale Village Main Street, past president and vice president of the Sacred Heart Home and School Association and past Chairman of the Board for Healthy Roslindale. He is a member of the Hyde Park Arts Association. Glenn currently teaches and manages the art curriculum at Sacred Heart School in Roslindale. Glenn is the founder of BNN-TV "Its All About Arts. He has interviewed over 600 artists from all media since 1997. According to Glenn, "I love being able to meet and showcase artists. Art is something that brings different cultures, different communities and different lifestyles to an even plane. Art is the only true international language. Do something artful for yourself this week."